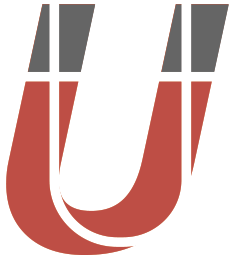 U++ is a C++ cross-platform rapid application development framework focused on programmers productivity. It includes a set of libraries (GUI, SQL, etc. ), and an integrated development environment. Rapid development is achieved by the smart and aggressive use of C++ rather than through fancy code generators. In this respect, U++ competes with popular scripting languages while preserving C/C++ runtime characteristics. The U++ integrated development environment, TheIDE, introduces modular concepts to C++ programming. It features BLITZ-build technology to speedup C++ rebuilds up to 4 times, Visual designers for U++ libraries, a Topic++ system for documenting code and creating rich text resources for applications (like help and code documentation) and Assist++ - a powerful C++ code analyzer that provides features like code completion, navigation and transformation. TheIDE can work with GCC, Clang, MinGW and Visual C++ and contains a full featured debugger. TheIDE can also be used to develop non-U++ applications. U++ supports following platforms on the production level: Windows, GNU/Linux & FreeBSD. What you can get with the Ultimate++ download in plain English? Very effective C++ library for cross-platform development in source form. A good integrated development environment, designed for developing large C++ applications. You can use both, or you can use whichever you need. Page updated at 04/25/2019 05:02:14 UTC.